22 februari, 2015 Säg något! Nu börjar det äntligen kännas lite bättre, så nu är man väl på bättrings väg. Mår bättre, har ingen feber som skiftar upp och ned längre. Energin och aptiten börja sakta men säkert återvända. Så i veckan som kommer, kanske jag till och med orkar att göra saker! Ska bli riktigt skönt faktiskt, men jag känner mig inte helt återställd. Är fortfarande trött och orkeslös, men det har blivit bättre. Har ju redan fått tillbaka en del av min vanliga energi och det är jag glad för, då denna helgen har jag gjort mer än bara sovit bort den. Till och med sett lite filmer i helgen. The Intouchables (En oväntad vänskap) var en riktigt bra film, gillade den riktigt mycket. Feelgood film om en blommande vänskap, den var rolig, helt enkelt. Klicka länken om du vill läsa mer om den. Såg äntligen Edge of Tomorrow också, som jag måste säga att jag gillade betydligt mer än jag trodde att jag skulle. Hade inga förväntningar på den, men jag tyckte den var en schysst popcorns rulle, helt klart. Att den baserades på en manga var en överraskning för egen del också. Såg även om den nya Teenage Mutant Ninja Turtles, den är fortfarande okej. Finns en hel del saker jag önskar kunde ändras i filmen, men delar av den är bra. Andra mindre bra, hoppas betydligt mer på uppföljaren. Har även spelat lite helt otroligt nog! Körde igenom Transistor som man fick denna månaden på PlayStation Plus. Ett helt okej spel, har hört folk som hajpat det rätt rejält. Visst det var trevligt, men för egen del var det verkligen inte mer än okej. Nu ska jag ge mig an att testa Wolfenstein: The New Order till PlayStation 4. Gillar inte FPS[/] i normala fall, men har hört väldigt bra saker om spelet från andra som inte är större fans av FPS. Med detta så blir det en liten paus ifrån Wild Arms 5[/b] och jrpg. Kan vara lite skönt det, jo jag älskar fortfarande jrpg, men måste trycka in något annat i mellan känner jag. Det blir för mycket tårta på tårta så att säga, plus om mindre än en månad kommer ju Final Fantasy Type 0. 11 juni, 2013 Säg något! I was going to make this post right after Sony’s event, but I was too damn tired. Tired but very pleased! While Microsoft seems to have made all the wrong decisions regarding its Xbox One console, Sony has made all the right ones. At least the right ones for us, the consumers in my opinion. I loved seeing this cocky Sony, really ridiculing Microsoft’s console. They have confirmed it will have no Online DRM, or any DRM for that matter. You can buy used games and share them with your friends just like you can today on the PS3 and the console will be region-free. Just just exactly as the PS3 there and for me those are all important stuff. But that is not all! They won’t be repeating their 599dollars mistake with the Playstation 3, they will launch the console at 399$. Making it 100$ cheaper than the Xbox One. For me Sony did everything right, well almost everything. They fell a bit on the finish line, but this time I’ll forgive it and actually pay up. But that is only due to all the other positive stuff about the PS4. Online multiplayer won’t be free anymore, you’ll need a Playstation Plus account in order to play online with your friends. Which is a damn shame, if that had been free then Sony would have won flawlessly over Microsoft. Yeah, sorry to sound like a fanboy. I am not, I like every console. I’m just so tired of all the “wrong” choices Microsoft seems to have made with he Xbox One. Well then, let’s continue on to the games. As just about everyone expected Final Fantasy Versus XIII made it’s appearance and confirmation to be a PS4 game now, and as everyone (?) thought it has been renamed to Final Fantasy XV. Square Enix will also release Final Fantasy XIV on the PS4 also, so I might just check that game out later. But the biggest surprise was, Kingdom Hearts 3!! Hot damn! I did not expect that honestly, that was a great surprise. Knack is looking like a nice little title and it will be a release game, so I might just get that. I am disappointed that Infamous: Second Son won’t be a release game, I really wanted that game with the console. Just recently announced, a Tales of Symphonia HD collection. Containing both the first and second game. Will be released on Playstation 3 early 2014 in Europe and America! YEAH!! I love Tales of Symphonia and getting a confirmation that we’ll be getting a HD collecting and a confirmation that it will be released in Europe, is probably the best thing I’ve heard in a while. God I am looking forward to this, I just love Tales of Symphonia and I own both original games. But I’ll be so over this collection. DAY ONE!!! The third game in the Arkham series, is also the first one in the series. This takes place a few years before Arkham Asylum and Batman is still a rookie. It’s not being developed by Rocksteady either, but I have faith that the new developers will make a good game. I enjoyed the other too Arkham games, so of course I am looking forward to this game too. I loved Saints Row 2, its one of those games I’ve had most fun playing in multiplayer ever! You can search my site for old posts on how fun I’ve had with it. So of course when number three came around I needed that. And while I didn’t enjoy it as much as SR2, it was still a pretty fun game. And now part four takes the outrageousness from SR3 and just keeps building on it, so I hope they improve the multiplayer to allow three people to play together in this. That alone would make this a super great game. 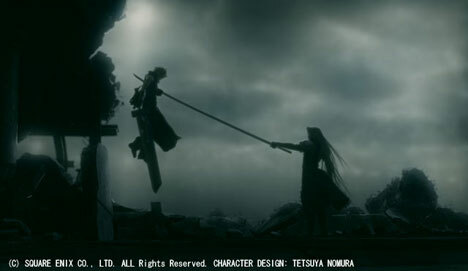 Probably the my most anticipated title with the name Final Fantasy. Its been in development for years and people are starting to question if we’ll ever see it. There are various rumors around the game. One says it will be rebranded into Final Fantasy XV (15) which I personally think is a smart plan, get rid of it’s ties with FFXIII and can make it feel somewhat fresh again. It’s also said it has jumped platform, from being a PS3 exclusive to now be a PS4 exclusive, makes sense. Either way, this coming E3 will hopefully bring some light on the situation. A remastered version of a game I loved as a kid, that looks like the TV-show I loved as a kid. With voices from the show. Where do I sign up!? When this was announced I could hardly believe my eyes, OMG! There will be some other new stuff in the game too, like you are able to visit Scrooges vault and take a swim in all that money. 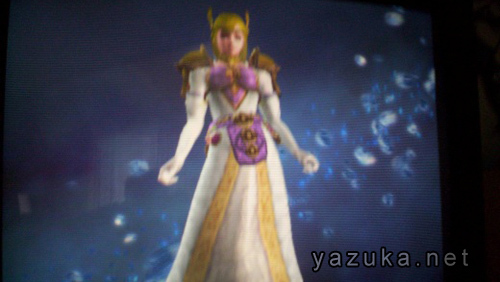 A new introduction level I think, either way this is one classic I really want to play again. A shame that it will probably be beaten within two hours. Hehe, this list is filled with many old games in new packages isn’t it? But there are some new stuff for us in Europe in this Kingdom Hearts collection. We’ll get the previously unreleased PS2 version of Chain of Memories and we will be getting the Final Mix version of Kingdom Hearts 1. That alone is awesome! 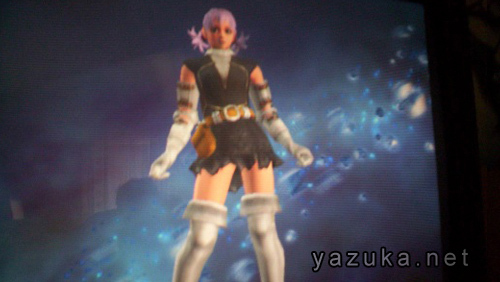 And with the improved camera and controls in the game, this will be a pleasure to play again. Later this year we will enter the 8th(?) 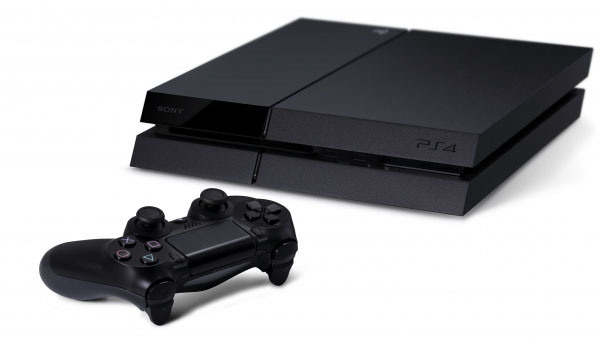 generation of game consoles and hopefully it will bring with it a bunch of new and fun stuff. Not to much motion controllers I hope, unless they are better than what has been and you use it for something fun. Well Microsoft in my opinion has already dropped the ball with this no used game stuff, or borrow from friends. I can honestly say without borrowing a few games from my friends there are certain game-series I would never have played myself. Or missed because they initially didn’t interest me. I sure hope Sony doesn’t go the same way, then the future would be very sad. But I am still looking forward to the games, Microsoft, Sony and Nintendo will announce at E3. I think this could be the best E3 we’ve had in a while, I think this is also my 7 year watching E3 live. Its a tradition for me now, I will not miss it! Create a Soul – Blast from the past! I was digging through some old burned backup CD that I have and found some old photos. 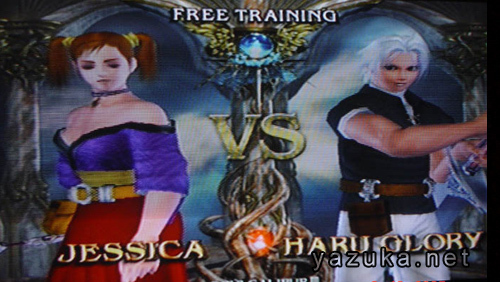 Photos of mine and Elden‘s custom created characters in Soul Calibur III. Aaahh, it brings back memories. 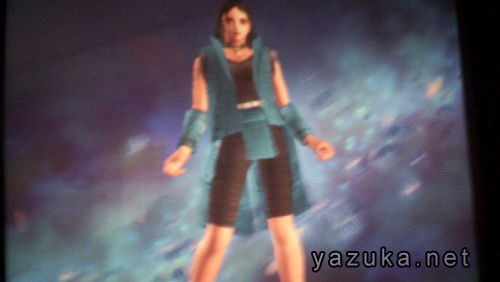 I don’t know how many hours I spent in the character creator, but I’m guessing its dangerously much. It was fun and a bit addictive, especially if you are like me and like creating characters. 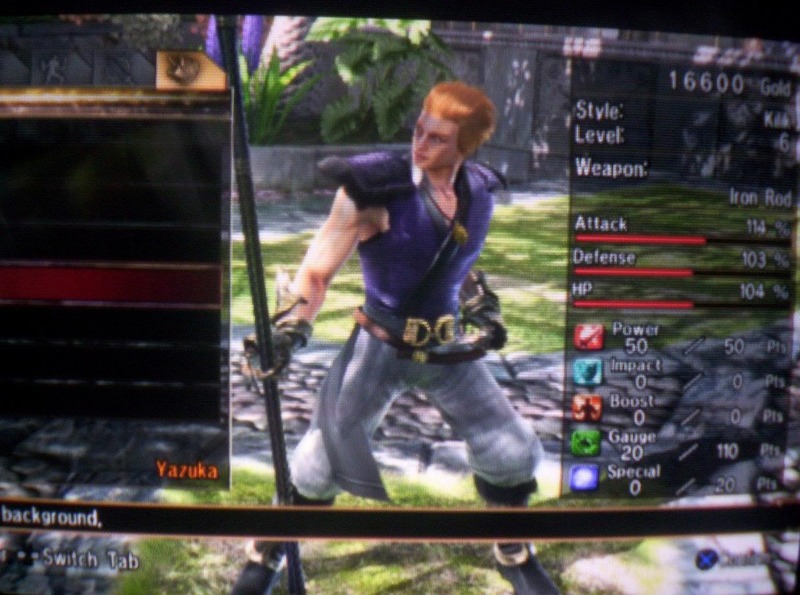 I remember I spent about 7-8 hours in the character creator in Soul Calibur IV before I even started playing it for real. 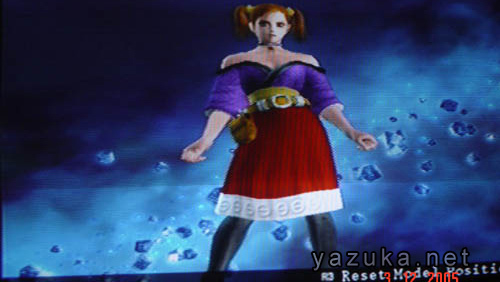 So that one of the reasons I’m looking forward to Soul Calibur V and its Create a Soul mode. Hopefully it will be more updated this time than it was between SC3 and SC4. The photos are from 2005, so it is a blast from the past! 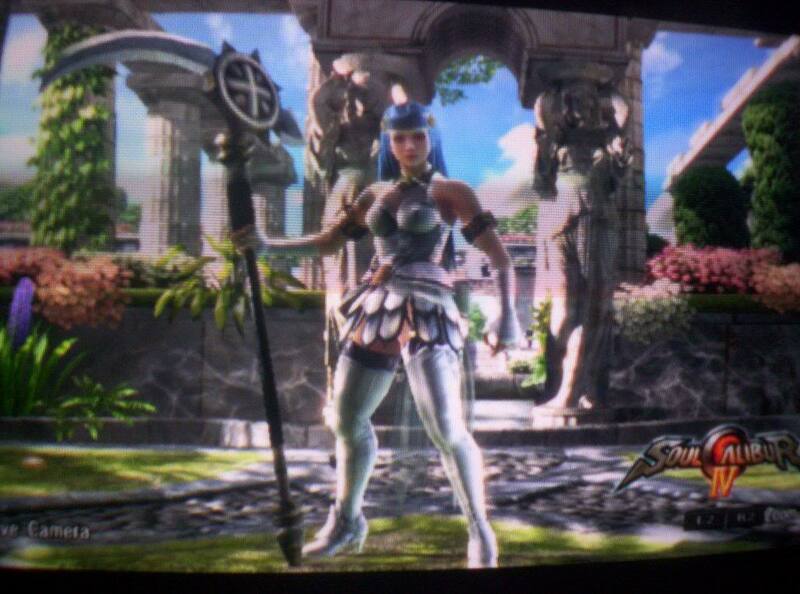 KOS-MOS that I made in Soul Calibur IV. 30 mars, 2010 Säg något! Idag är första dagen av praktiken och jag har precis vaknat. Har väl lyckats få 3-4timmars sömn åtminstone, mer än jag trodde. Skulle egentligen ha sovit en timme till, men det blev inte riktigt som jag ville. Är pigg som fan nu, men det kommer försvinna. Turligt nog ska det väl bara vara halvdagar denna veckan, så jag hoppas jag hinner vänja mig. Även om jag tycker tiderna är åt helvete. Final Fantasy XIII en stund nu, för att få tiden att gå. Eller så sätter jag mig och ser mer på Two and a Half Men. Rätt nice serie.